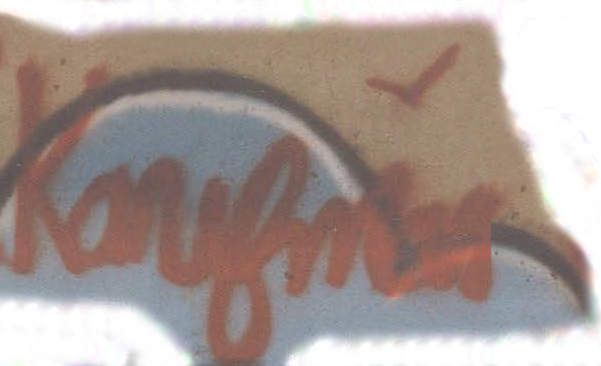 All were painted between 2007-2008. 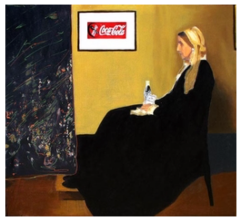 July 20, 2016 / New York, NY -- American Pop Art, Inc. and Steve Kaufman Art Licensing LLC are proud to announce that three iconic Coca-Cola inspired paintings by the late pop artist Steve Alan Kaufman (SAK) have been formally acquired by the World of Coca-Cola Museum in Atlanta, Georgia, for its permanent collection. 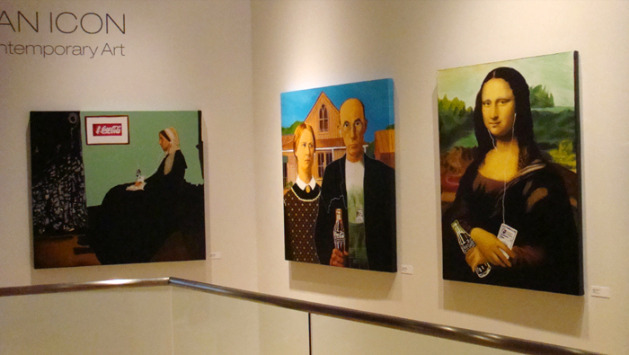 These three paintings by Steve Kaufman, former assistant to Andy Warhol, are: “Mona Lisa, A Coke and a Smile,” “American Gothic,” and “Whistler’s Mother.” All were painted between 2007 and 2008. Previously, these paintings and one sculpture were on loan for public exhibition at The Pop Culture Gallery at The World of Coca-Cola Museum when Steve Kaufman died suddenly on February 12, 2010. 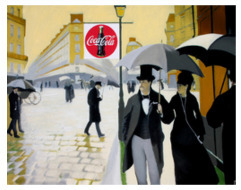 With the permission of Diana Vachier, heir to Steve Kaufman licensing, the three paintings traveled the world in 2015 as part of “The Coca-Cola Bottle Art Tour: Inspiring Pop Culture for 100 Years,” held in celebration of the 100th anniversary of Coca-Cola’s iconic glass bottle. Steve Kaufman’s work was also profiled in Coca-Cola’s “Refreshing Pop Culture,” an online gallery that coincided with the world tour. “It is a huge honor to have Coca Cola acquire these for their permanent collection,” said Diana Vachier of Steve Kaufman Art Licensing LLC. Steve Kaufman’s Coke art is also featured in Kiss the Past Hello, a limited-edition book published by Assouline celebrating the rich history of the Coca-Cola bottle as interpreted by designers and artists. Follow @Coke_Archives and @SteveKaufmanArtOfficial on Instagram to see more Coca-Cola art on exhibit. For more information about the World of Coca-Cola Museum, please visit http://www.worldofcoca-cola.com/. For more information about Steve Kaufman and for art inquiries, please visit http://www.americanpopartinc.com. 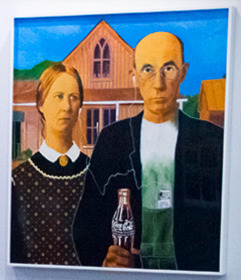 Steve Kaufman was recently Featured In the “Coca-Cola Bottle 100 Art Tour." "I have always loved Steve’s art. When we were looking for artist whose works best represented the Pop Art movement for our Pop gallery at the World of Coca-Cola in Atlanta, Andy Warhol and Steve Kaufman were the obvious choices and I was excited to be able to curate a show which featured works from both artist. I also used two of Steve’s paintings as part of a 16 city world wide tour which focused on Pop Art featuring the iconic Coca-Cola bottle. 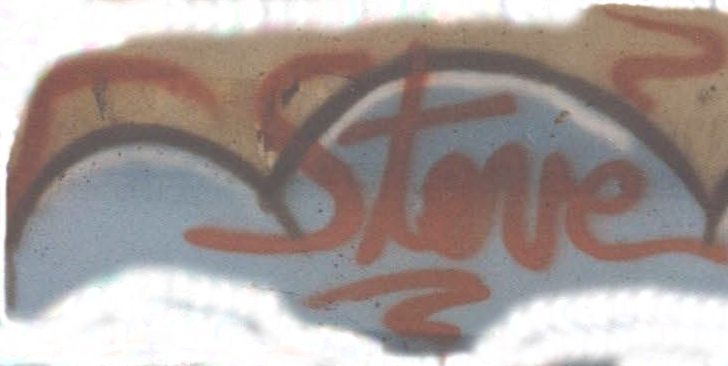 Steve’s works were seen by millions of people across Asia, Europe Latin America and Africa during this tour. 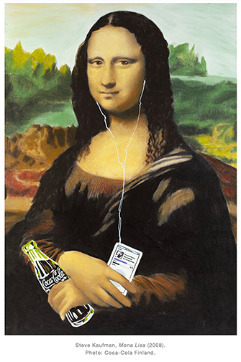 I have had his Mona Lisa with Coke and iPod in my office for the past 10 years and she still elicits comments every time someone sees her. She is a typical Steve Kaufman piece in that she makes you smile."